Looking Glass Designs specialized in engraved, embroidered and custom items. After ten years, Looking Glass Designs (1917 Park Avenue, 314-621-3371) is closing its brick-and-mortar shop in Lafayette Square. 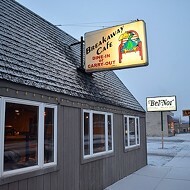 Owner Andrea Heugatter posted the news to NextDoor on Sunday. In her post, Heugatter said the shop would be open through February — and urged customers to do their Christmas shopping there. 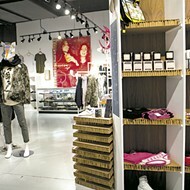 "Our holiday season will still be robust with some great specials, so PLEASE come in and shop with us," she wrote. Looking Glass Designs earned a big following for its engraved, embroidered and otherwise custom items, which included everything from cutting boards to baby clothes. 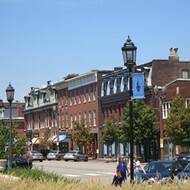 It also sold locally made jewelry and numerous St. Louis-specific items. [Heugatter] works with customers one on one to design and personalize many of the store's gift options, creating unique pieces that are art in their own right. Have a personal catchphrase or mantra? She'll engrave it onto a metal cuff bracelet. 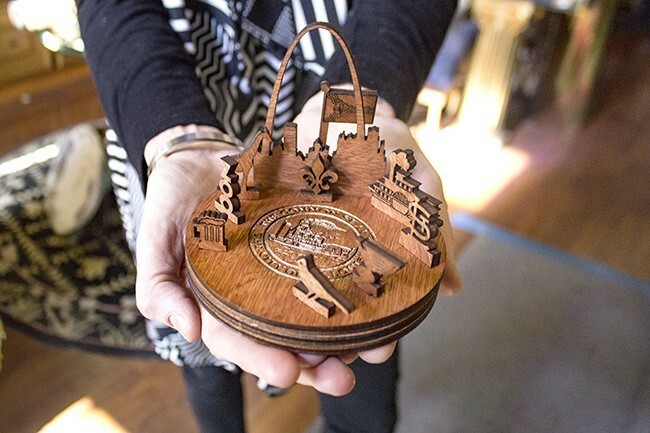 Want a mini display of St. Louis treasures? Heugatter can create intricate replicas of the city's skyline from wood. Her glassware and stone coasters etched with family members' names or the St. Louis fleur-de-lis make for memorable gifts, and nobody will be able to turn down luxurious spa robes or upcycled baby garments with fresh monograms. The best part? Heugatter and many of her curated artists donate their proceeds to a variety of local charities and causes, helping where our city needs it most. The shop also won "Best Of St. Louis" awards, including one in 2009 for "best personalized gifts." 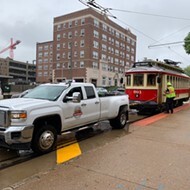 In her post, Heugatter noted that "overhead expenses have been a significant struggle for the past few years, and we've witnessed a decline in foot traffic and walk-ins." 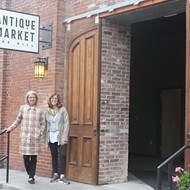 However, she noted, nine different shops throughout the county now carry her products. Going forward, she wrote, she would work out of her home, focusing on local customization services and expanding online sales.